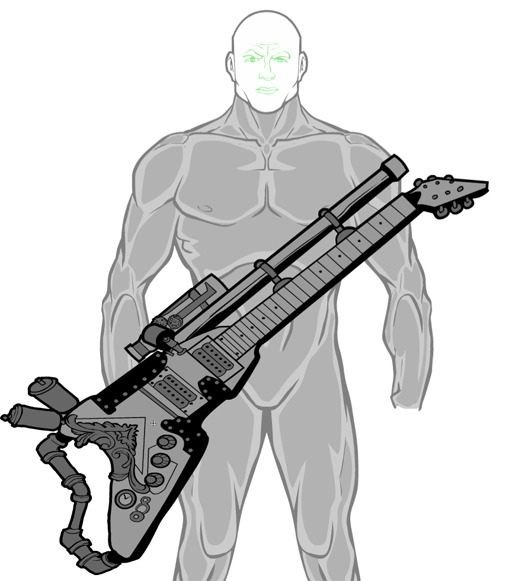 This fine steampunk gun-guitar hybrid is now available in HeroMachine 3's ItemRight - Music, last item in the set. Thanks Anarchangel! Looks good, perfect for playing some hot funk! I SHALL CALL IT GUNTAR! I’m not going to lie, that’s really badass! Huh… I can’t seem to find it. It’s not showing up under the Music tab at all. Sorry Luc, try it now. Ah, there it is! And I gotta say, it looks awesome. For you Steampunk fans out there.